Event open Wednesdays from 3-6 p.m.
Photo by LORETTA JACKSON Don Miner, organizer of the Merrimack Winter Farmers Market and a member of the Merrimack Agricultural Commission, right, supplies Kelly Swan, of Nashua, and her son, Lucas, age 2, with some savory sausage from his business, Miner Family Farm, of Merrimack. 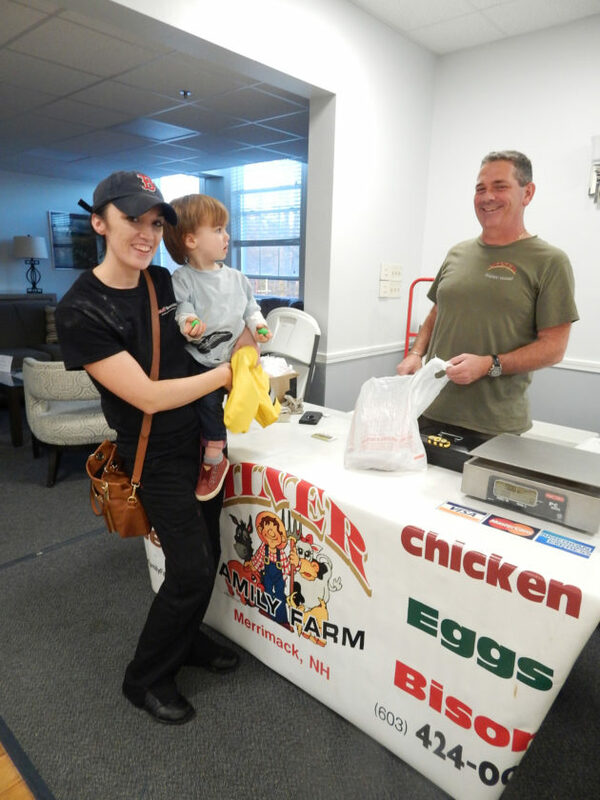 Photo by LORETTA JACKSON Kelly Swan, of Nashua, and her son, Lucas, age 2, accept from Don Miner, owner of Miner Family Farm and a member of the Merrimack Agricultural Commission, a supply of savory sausage purchased during the newly opened winter farmers market. Photo by LORETTA JACKSON Merrimack shopper Ian Felder, left, buys fish from Karl Day and Alex McMorran, right, owners of New England Fishmongers, a Portsmouth enterprise offering fish caught by fishermen, selections including cod, pollock, skate and sole, harvested with rod and reel, one fish at a time. 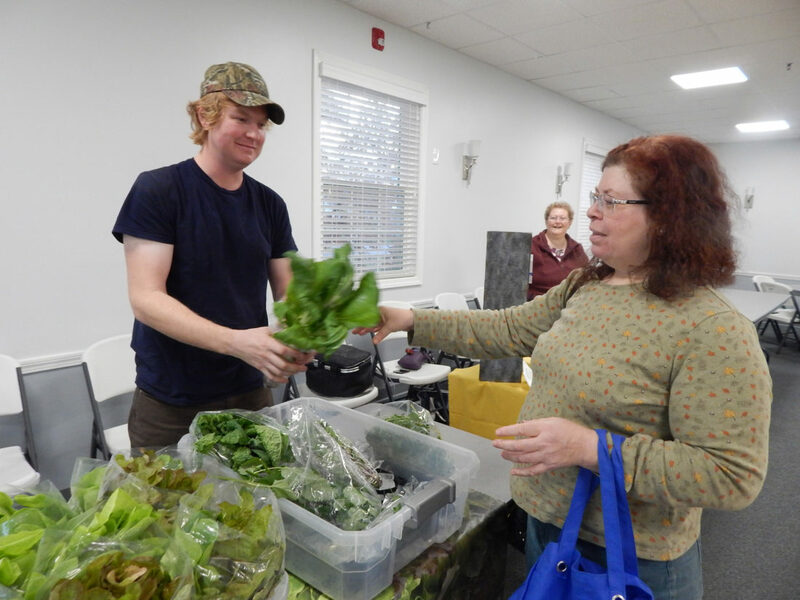 Photo by LORETTA JACKSON Gavin Williams, co-owner with his dad, Ross Williams, of Victory Aquaponics in Londonderry, sells some of his supply of water-grown bok choy, watercress and lettuce to Merrimacks Louise Koutavas, who likes her salad greens fresh. Photo by LORETTA JACKSON Gavin Williams, co-owner with his dad, Ross Williams, of Victory Aquaponics in Londonderry, sells some of his supply of water-grown bok choy, watercress and lettuce to MerrimackÕs Louise Koutavas, who likes her salad greens fresh. 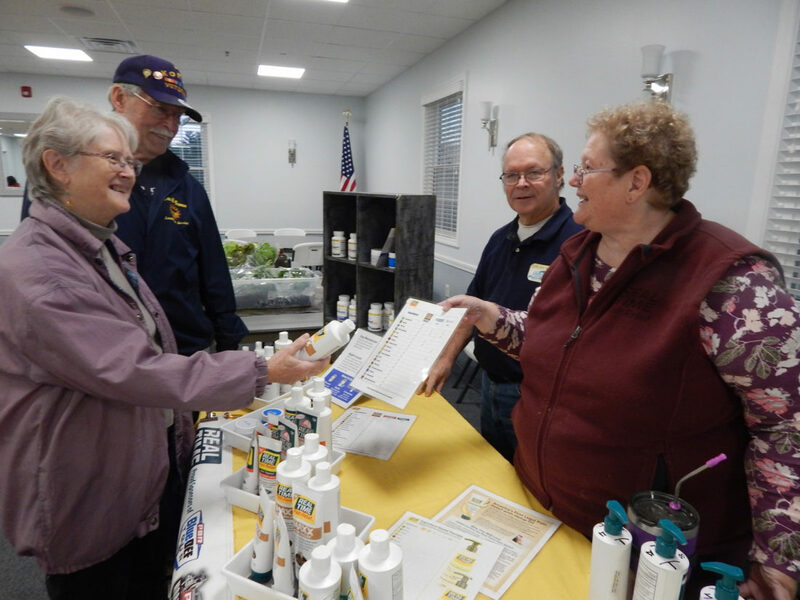 Photo by LORETTA JACKSON Anita and Dan Memos, left, of Merrimack, hear from locals Don and Joy Grant about Real Time Pain Relief, a collection of lotions, creams and other produced with natural ingredients the couple offers for sale at the winter farmers market. 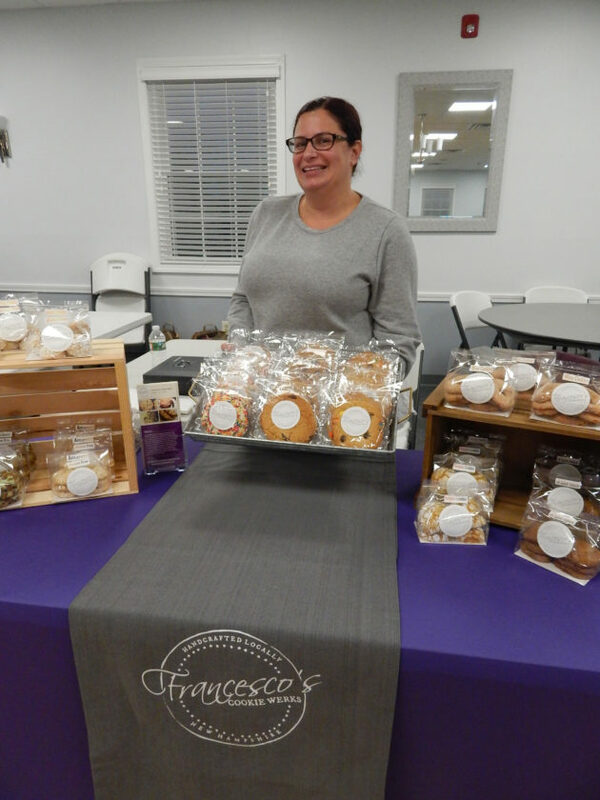 Photo by LORETTA JACKSON Melissa Civilik, co-owner of Francescos Cookie Werks, of Derry, displays some of the cookies and biscotti and gluten-free options baked by her and her father, company co-owner Frank Badolato, whose collection of recipes were invented by Melissas great-great grandfather. Photo by LORETTA JACKSON Melissa Civilik, co-owner of FrancescoÕs Cookie Werks, of Derry, displays some of the cookies and biscotti and gluten-free options baked by her and her father, company co-owner Frank Badolato, whose collection of recipes were invented by MelissaÕs great-great grandfather. Photo by LORETTA JACKSON Melissa Civilik, who is a co-owner along with her father, Frank Badolato, of Francescos Cookie Werks, of Derry, offers a wide variety of cookies, pastries and other sweets that include gluten-free options, to shoppers at the Merrimack winter farmers market. The Winter Farmers Market in Merrimack is open until next summer. 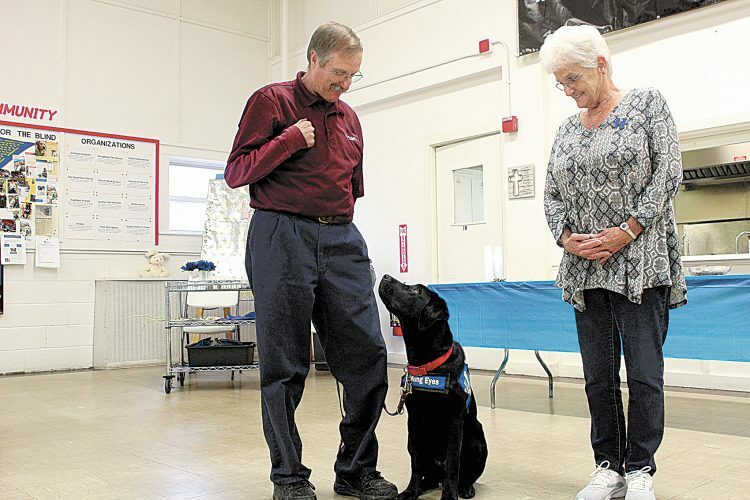 It is open on Wednesdays, 3-6 p.m., at the John O’Leary Adult Community Center, 4 Church St. A variety of vendors welcomed first-night visitors during its debut on Wednesday, Nov. 7. There, beef, pork and chicken portions for sale rested in frozen glory within a big cooler. 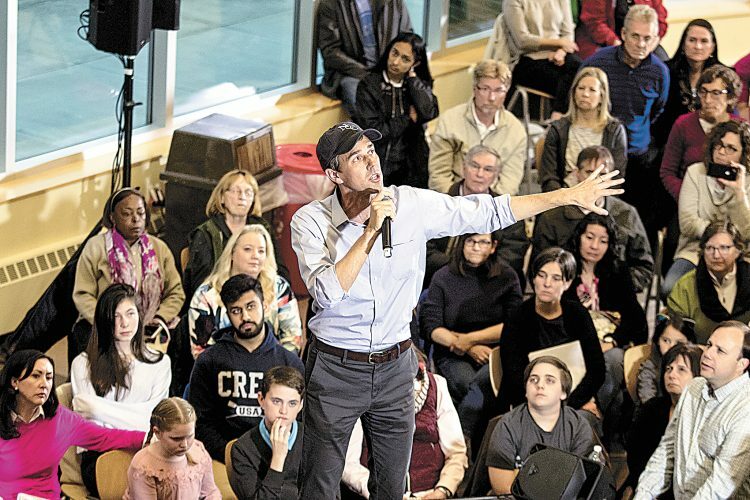 Hydroponic greens wore cellophane wraps, as might a floral bouquet Cod and pollock and monkfish, along with skate and sole, freshly caught at dawn by two area fishermen, found buyers. Bakery and cookies were big sellers. Don Miner, owner of Miner Family Farm in Merrimack, is a member of the Merrimack Agricultural Commission, the market’s sponsor. It was his cooler that sheltered the meats – steaks, chops, burgers and chickens. He is the organizer of the winter market and noted that the enterprise is ongoing weekly until the summer market opens in June at Vault Motor Storage, on Daniel Webster Highway. 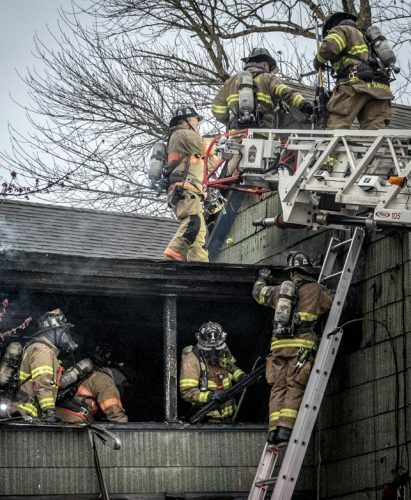 Kelly Swan and her son, Lucas, age 2, arrived from Nashua and went home with some spicy sausage from Miner. 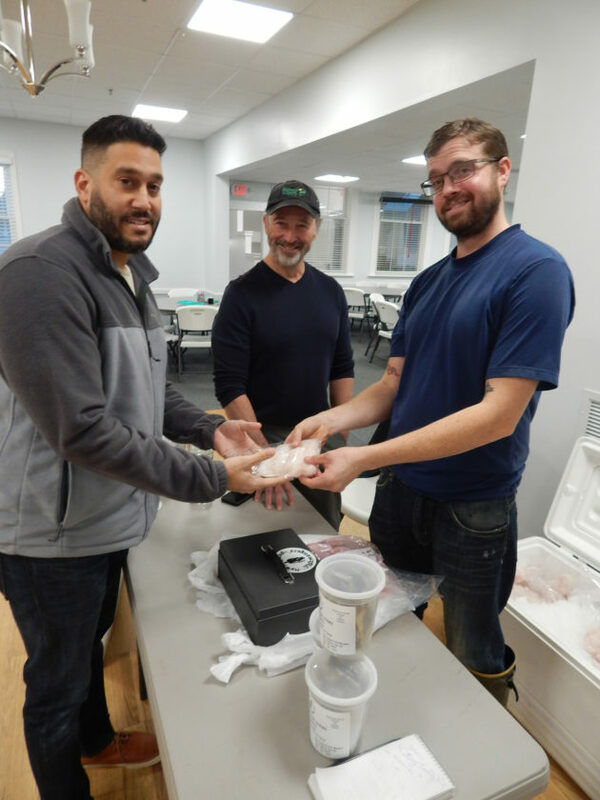 Nearby, Gavin Williams, co-owner with his dad, Ross Williams, of Victory Aquaponics, in Londonderry, filled an order for Louise Koutavas, of Merrimack, whose yen for salad fixings was well appeased. Fishmongers, wrapped some monkfish for Ian Felder, of Merrimack. Photos were shared of a huge cod wrangled during a foray aboard the “Finlander,” a fishing boat out of Portsmouth. The partners sail mostly every day to catch fish the old-fashioned way, one at a time. Chefs from hotels and restaurants are patrons. Shoppers also patronized Melissa Civilik, who with her father, Frank Badolato, owns Francesco’s Cookie Werks, based in Derry. The pastries are legacy recipes from her great-great grandfather. Many sported slivers of almonds or bits of pistachio. Miner sampled a slice of a Francesco’s biscotti. The crunch was audible.